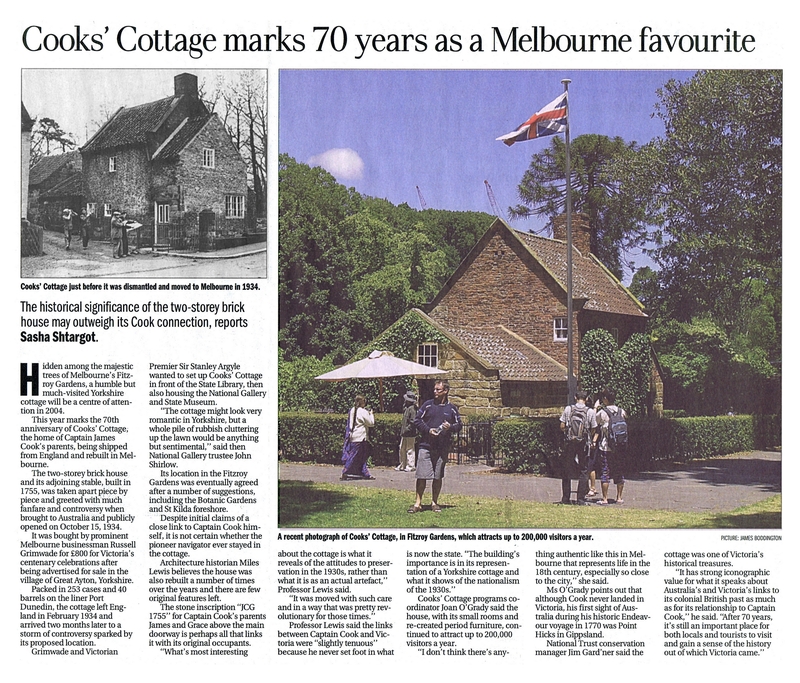 Cook's Cottage - 70 years. 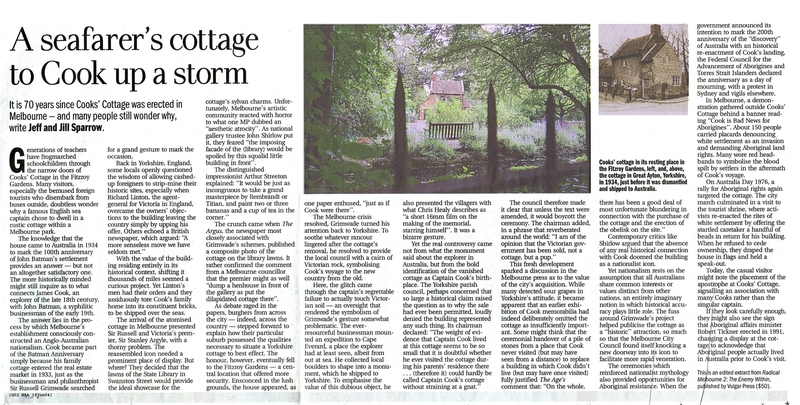 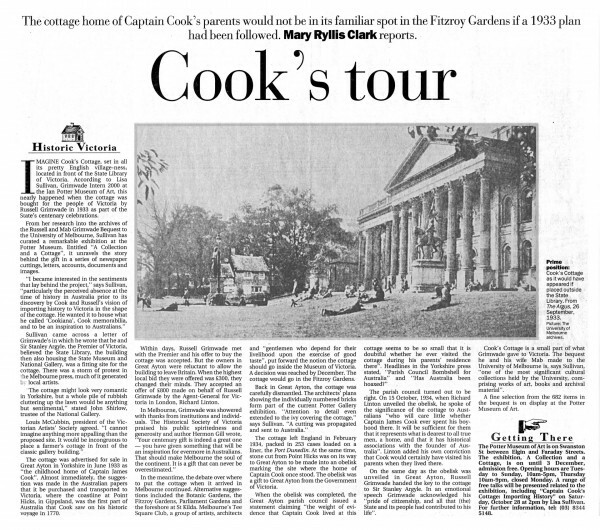 Articles about Captain Cook's Cottage to mark its re-erection in Fitzroy Gardens 70 years ago. 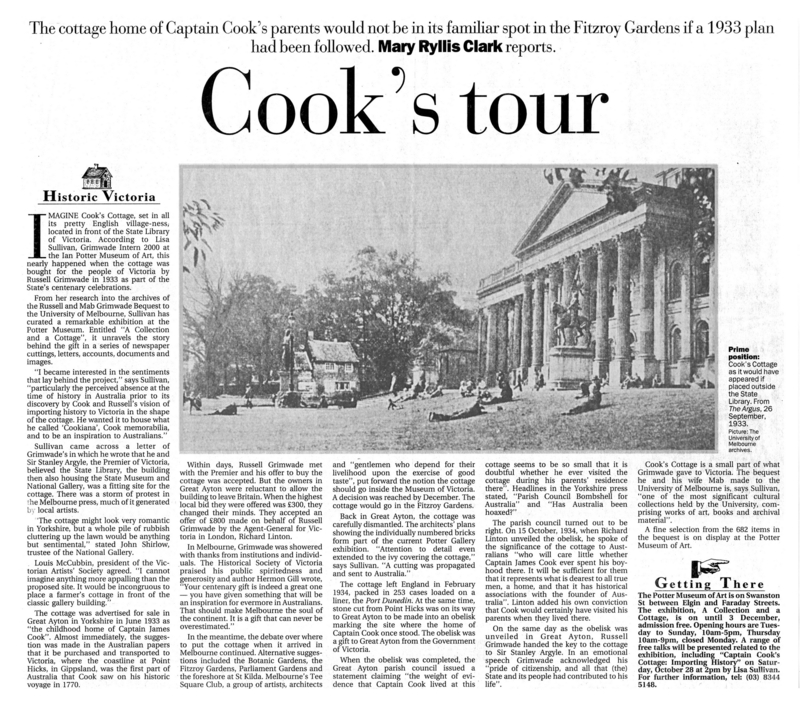 Gives description, history and evaluation of its historical importance. 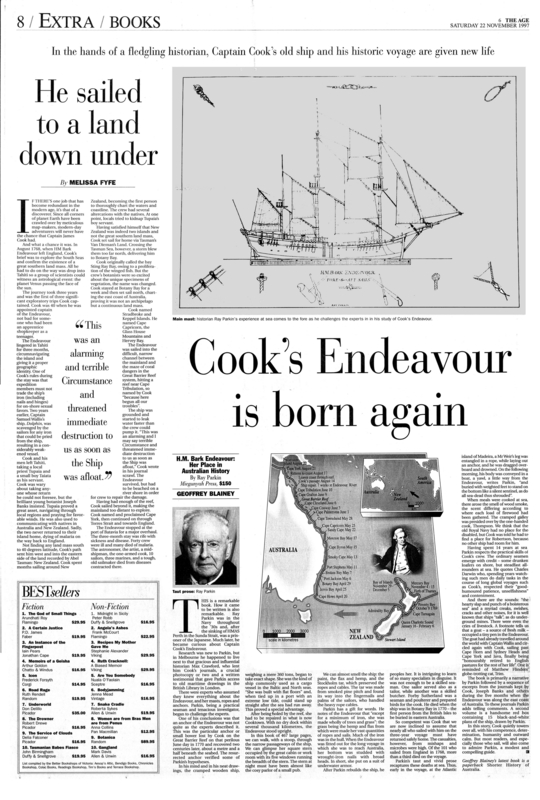 The Age, 19 Jan., 2004. Photos.